We are living in times that Louis Brandeis would have understood. He understood the danger of monopoly, even if the dominant industries of the early 20th Century like steel manufacturing no longer possess the power they once did. He understood the power of networks to thwart competition, even if those networks were made of railroad tracks not fiber-optic cable. Most of all he understood the feeling of many people that the economy is no longer working for them, limiting opportunity for economic and individual advancement. Imagine the scene on December 14, 1911 when the Senate Committee on Interstate Commerce met to consider the future of antitrust. The first witness introduced himself simply: “My name is Louis D. Brandeis; I live in Boston and I am a lawyer by profession.” Brandeis, by then one of America’s fiercest advocates of stronger antitrust laws and governmental action to constrain market power, testified that day, the next, and even on Saturday, the third day. Over these three days, Brandeis expounded themes familiar in his writings and speeches: that the American economy was beset by what he famously called “The Curse of Bigness,” that monopolies threatened democracy and limited the scope of individual opportunity, that these businesses’ success was founded on improper actions that unfairly harmed independent competitors, and that the antitrust laws should be reformed to stop the power of the trusts. And as in Brandeis’s day, antitrust is now on the front-burner of American politics. For example, Barry Lynn has posited two American antitrust traditions, one encapsulated in the work of Brandeis and the other, best known as the “Chicago School,” in the work of Robert Bork. And Lynn quite decidedly prefers the former. Guy Rolnick has described Brandeis as “one of the most important justices and intellectuals in U.S. history” and extolls his fight against monopolies and for antitrust. Such advocates of more aggressive antitrust have been labeled “The New Brandeisians." In the world of sectoral regulation, Jeffrey Rosen believes that Brandeis would have favored the action taken in 2015 by the Federal Communications Commission to preserve and protect net neutrality through rules, I should note, I had a hand in crafting and successfully defending in court. Yet, Brandeis has not been universally praised, even for his best known antitrust opinion. And he has been criticized as too quick to incorporate democratic values into his antitrust thinking while failing to apply important economic concepts. This is an excerpt of an essay that outlines the framework of progressive governance that I believe Brandeis embraced in his fight for competition. This is not to suggest that Brandeis provides us with the specific answers to competition-policy disputes in the 21st Century. But his writings direct our attention to democratic values and a broader discussion about the purpose and goals of the antitrust laws. Antitrust is too important to be left only to antitrust experts; Brandeis can help us incorporate a broader range of substantive and process values and learnings into the discussion of the purpose of antitrust. Moreover, Brandeis provides insight on the drafting of antitrust laws, on the roles that the legal system should play, on the use of sectoral regulation, and, always, on the importance of facts and experimentation in fighting for competition. In Brandeis’s formulation of antitrust and competition law, progressive governance means, first and foremost, that government can and should act to protect and promote competition. Brandeis’s vision was as wide as the aperture that gathers in all of the social and economic considerations that a legislature may consider and as sharply-focused as the most damning cross-examination. Brandeis was like a person standing on a beach, taking in the grand view of sea and mountains in the distance, while simultaneously examining the smallest grain of sand at his feet. Brandeis believed that the answer to the economic and social problems exposed by populism was to construct institutions that could solve problems rather than indulging any populist impulse to tear down instruments of governance. When institutions and laws proved inadequate, his answer was to enact better laws and new forms of governance, such as the Clayton Act and the Federal Trade Commission Act, in order to achieve the democratic, social, and economic goals that he was convinced were threatened by concentrated economic power. That is, Brandeis believed economic frustration and populist impulses could best be addressed through the creative construction and use of institutions; by giving institutions the tools they need to succeed, and by calling upon lawyers and judges to apply the rule of law. Brandeis can thus be understood as expressing great confidence that appropriately-crafted antitrust and competition law and regulation would empower the legal system to achieve the social and democratic goals that he favored. The Brandeisian approach to competition has five parts; together they comprise the framework for progressive governance in the field of competition. The first three parts concern antitrust specifically: the role of legislatures, the construction of legal standards, and the mechanisms of antitrust law enforcement. The fourth part focuses on the special case of sectoral regulation. The fifth and final part recognizes the importance of experimentation to the economy, government, and democracy. First, Brandeis believed that legislators creating antitrust laws should consider broad economic and social issues. His goal was to combat trusts and monopoly, including the impact that he believed monopoly had on democracy and individual economic opportunity. (He viewed the two as very closely related.) Congress, in his view, was rightly motivated by concerns about the political power of the trusts when it enacted the antitrust laws. Brandeis has been criticized for allowing a broad sweep of concerns, including avowedly non-economic ones, to influence his view of antitrust. As I hope to demonstrate, such criticisms may conflate the role of the legislator, on the one hand, with the roles of law enforcers, lawyers, or judges, on the other. It is important not to confuse Brandeis’s support of the legislation in order to advance social and economic goals with the distinct manner in which he thought legal standards should be drafted or laws, once enacted, should be enforced. Second, Brandeis’s approach thus demonstrates his view that wise legislation requires legislators to translate larger social and economic concerns into a set of statutory commands designed to serve these larger social goals while operating within the scope of professional obligations familiar to antitrust enforcers and the courts. Brandeis focused on the creation of legal standards that antitrust agencies and courts could be relied upon to implement, as with the FTC Act’s prohibition of unfair methods of competition and the Clayton Act’s prohibition of mergers that may substantially lessen competition or tend to lead to monopoly. The laws Brandeis proposed and supported did not ask a federal antitrust agency to decide whether a company was too politically powerful by, for example, counting the numbers of allies it had made in state legislatures. Rather, Brandeis favored standards that looked directly at economic (one might say industrial) outcomes, such as a firm’s market share or the use by dominant firms of practices like tying or exclusive contracts. Thus, Brandeis believed that social and economic experiments, once enshrined in legislation, are most capably administered through the rule of law, which rests upon both common-law recognition of changing circumstances and a litigator’s attention to factual detail. The right laws, in other words, would lead to the right investigations and then to the right results. As a proponent of reforming the antitrust laws, he focused on the best way to protect larger anti-monopoly and democratic goals through the identification of harmful industrial conduct. As a judge, he was just as relentlessly focused on the facts that would prove, or disprove, theories of competitive harm, hewing to the common-law tradition that fellow-Justice Oliver Wendell Homes Jr. so famously embraced. The distinction between antitrust law and regulation was at the heart of Brandeis’s views about the 1912 presidential election, “which turned on who spoke most directly to U.S. anxieties over the economic relationship among economic prosperity, democracy, and power.” Brandeis publicly and decidedly favored Woodrow Wilson’s stance of vigorous action against monopoly over Theodore Roosevelt’s “New Nationalism,” which Brandeis believed was far too willing to accept the existence of monopoly. Brandeis did not, in other words, favor Big Government as the first solution to Big Monopoly. Rather, he believed that sectoral regulation should be used when justified by specific industry circumstances, such as the existence of local utility monopolies or in circumstances in which normal competitive forces could not get the job done. Brandeis’s view of progressive governance meant that government could improve itself and the lot of its people—hence his endorsement of the idea that States could be laboratories of democratic governance. Even more importantly, he viewed America itself as an experiment. This was not a unique metaphor, but it captured Brandeis’s philosophy of government—that America was built on a unique set of principles, that its tools of democratic governance formed the fulcrum on which those principles could be vindicated and extended, and that the work of seeking democratic and economic progress would never be done. In 1930, the historian Charles Beard wrote that “even though the year 2000 may be far from the picture which Mr. Brandeis has idealized in his mind, we may be sure that the realistic, fact-burdened method which he has employed in all of his thinking about legal and economic affairs will have an increasing influence on coming generations of students, lawyers, and judges.” This statement has not, it’s fair to say, come to pass in the manner the author imagined. But we can be certain, I believe, that, understanding the times in which we live, Brandeis would encourage us to consider deeply and creatively the manner in which antitrust laws, institutional structures, including sectoral regulation, and professional responsibilities can better further the cause of competition. [C]ompetition is fair because it gives a chance to the small business owner to succeed in her business venture, because it delivers lower prices to consumers, and because it drives the innovation that improves products, business processes, and more. Competition among employers to attract workers is fair because it yields higher wages, better benefits, and safer working conditions. In general, competition is fair because it distributes these rewards broadly to participants in the economy. But when companies harm competition – choking off competition or agreeing with rivals not to compete – they infect the economy with unfairness by accumulating power that the few can wield at the expense of the broader American public. The work of improving antitrust enforcement continues. For example, in the fall of 2017, a series of antitrust scholars, including many veterans of the federal antitrust agencies, gathered to offer specific suggestions on how to improve antitrust enforcement, unveiling a series of papers that will be published in a 2018 special symposium of The Yale Law Journal. In a broad-ranging speech later in the year, Senator Elizabeth Warren emphasized the importance of looking at vertical mergers, prosecuting no-poaching agreements, and ensuring that sectoral agencies like the FCC use their power to advance competition. Also in 2017, Senator Amy Klobuchar introduced her “Consolidation Prevention and Competition Promotion Act of 2017,” in which she proposed to amend the Clayton Act that Brandeis helped to draft and that he supported publicly and in congressional testimony. Among her changes would be to declare a merger presumptively illegal if it would lead “to a significant increase in market concentration,” an approach that resembles the market-share presumption included in the 1911 La Follette-Stanley bill. In fact, the Klobuchar bill is Brandeisian in its essential structure: based on broad societal and political concerns, including fears of aggregated corporate political power; translating those concerns into administrable legal standards, such as the substitution of the term “material” for “substantial” in Section 7 of the Clayton Act; and seeking to expand knowledge about the impact of past governmental actions and new forms of corporate conduct, for example, through merger retrospectives and the creation of a competition advocate at the FTC. A familiar question in today’s discussion of Brandeis’s ideas is to ask what antitrust jurisprudence would look like if his views had been applied over the last century. That is an unanswerable counter-factual, but Brandeis’s writings suggest that antitrust would have been more concerned with bringing antitrust actions against monopolies, examining buyer power, and testing the limits of the per se prohibition against price fixing when the challenged conduct could be traced to a substantial pro-competitive justification. None of these considerations is wholly absent from current doctrine, but Brandeis likely would have given them more weight. His judicial opinions reflect his emphasis on the facts and the context in which conduct arose. In assessing competitive benefits, he kept in mind the experience that had led to the enactment of the Clayton Act, when he argued that the most likely alternative to this form of cooperation would be to incentivize more mergers. How would he have decided particular cases arising today? We cannot be certain. But, we can be confident, he would have told us to use our abilities to the maximum in order that we might reason and, in so doing, be bold. 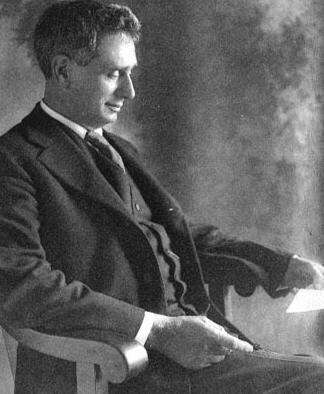 Louis Brandeis: A Man for This Season aims to demonstrate that progressive governance incorporated both the goals and the means that Brandeis believed would provide the strongest tools to fight against the trusts and the monopolies of his day. The essay, of which this article is an excerpt, is the starting point for an ongoing examination (through writings, speeches, and convenings) of how to update Brandeis—and, more importantly, antitrust—for the digital age. I hope you will join in that examination.